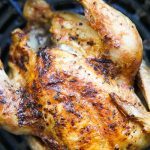 Delicious juicy Cornish hen in your air fryer, the best recipe for crispy skin and fantastic flavor! 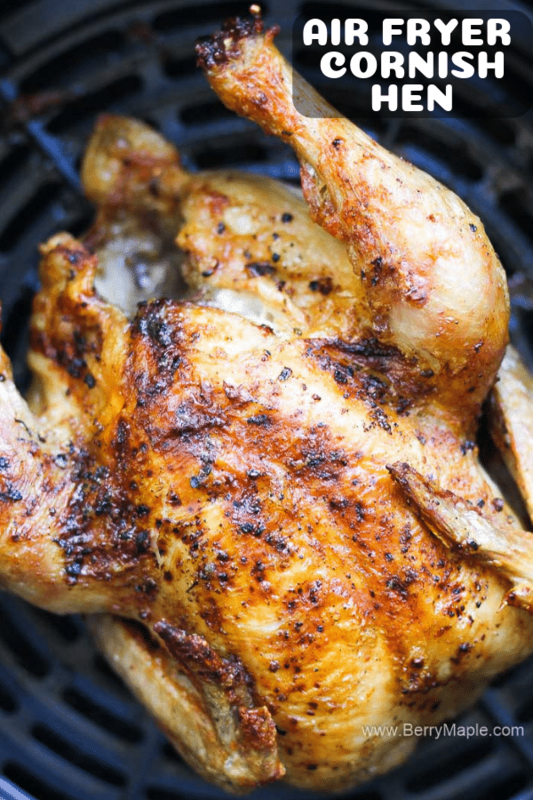 This must be the easiest recipe i ever made, not only in the air fryer, but ever. 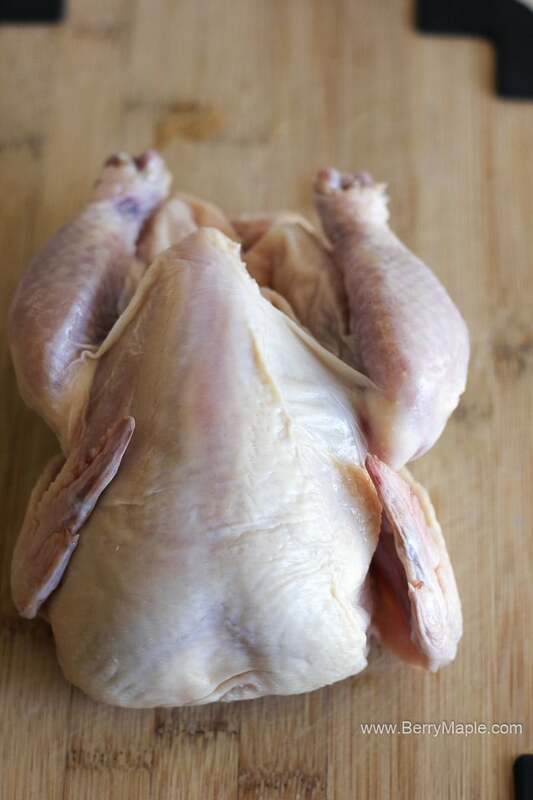 I like to buy cornish hens in butches in Costco, my local Costco sells it in packs of six for a very good price! 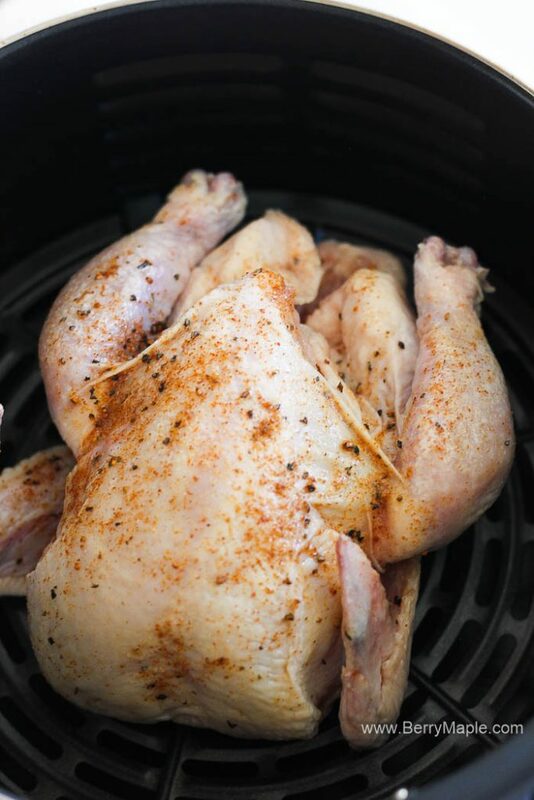 So, whats is so amazing about cooking Cornish hen in the Air Fryer? Thats it! Crispy, juicy and absolutely delicious Cornish hen is ready! Add your favorite side dish or a simple veggie salad and enjoy your dinner. Be a part of a new growing community of air fryer lovers. I just started a very new Facebook group, where i will post only best, trusted recipes from my site and my friends blogs. Get new updates and new recipes too! 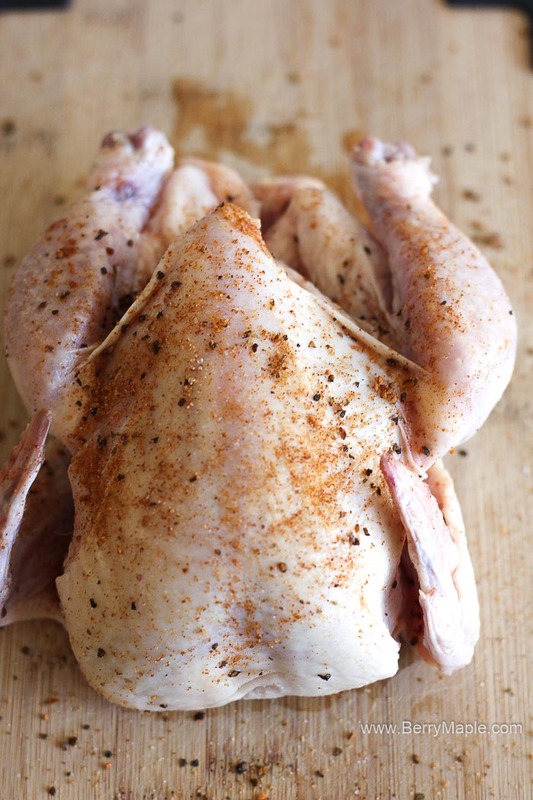 Rub Corish hen with spices . 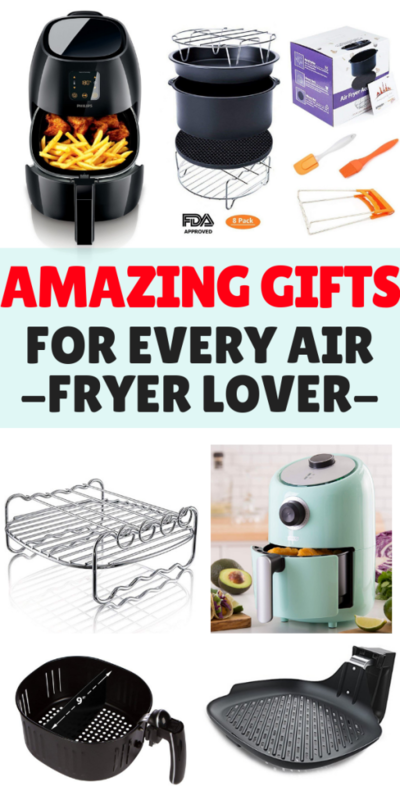 Spray Air fryer basket with olive or coconut oil spray. 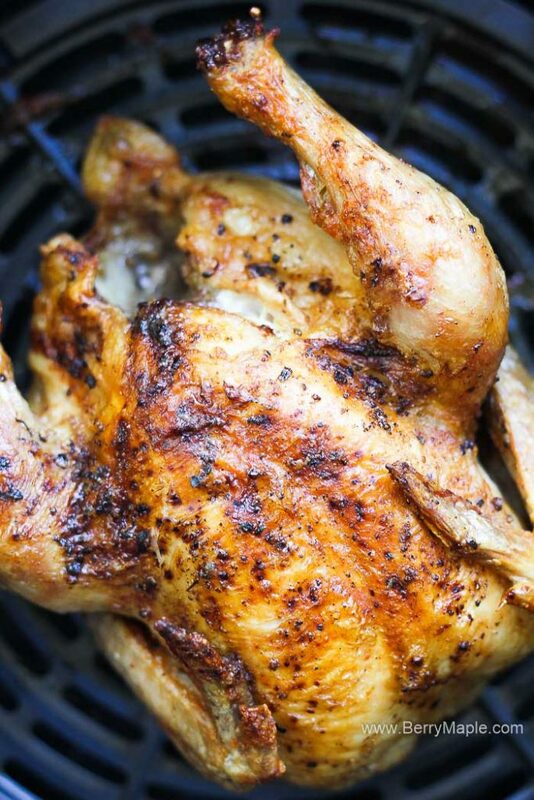 Place Cornish hen in to your Air fryer ( 390F for 25 minutes). Turn half way through. Thank you for reading and trying my recipes. Your opinion is very important to me! Please leave a comment below if you made this dish! Also tag me and follow on INSTAGRAM at @myberrymaple . Hi! As long as there is a space left between birds for air to circulate, I think it will work ! 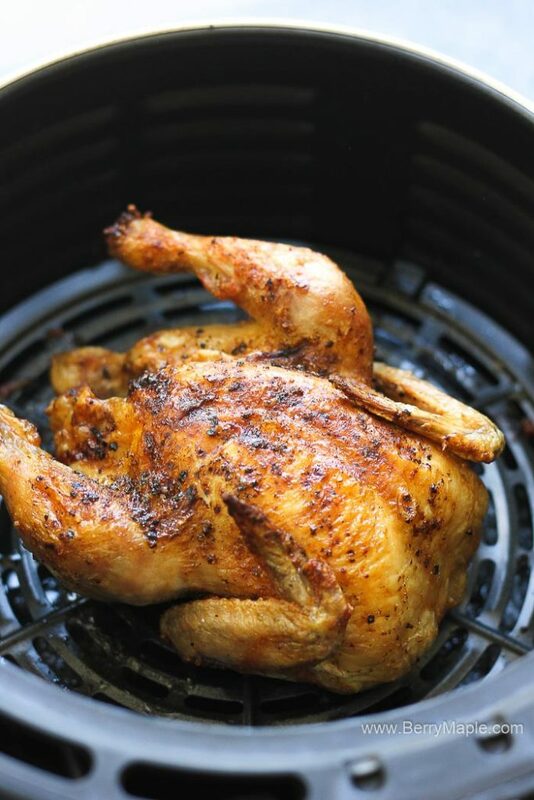 I really need to get an air fryer, love the idea of roasting Cornish hen in there, it looks delicious. Thanks for a great recipe! 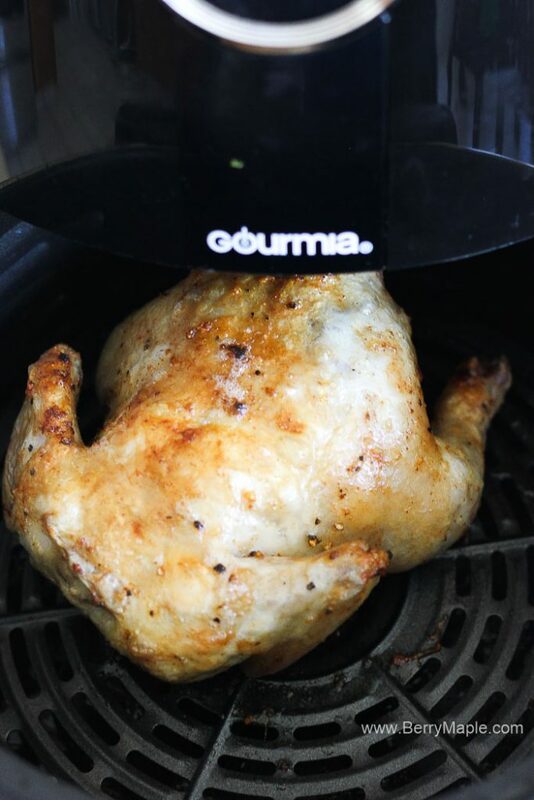 I’ve never thought of trying cornish hen in the air fryer before.